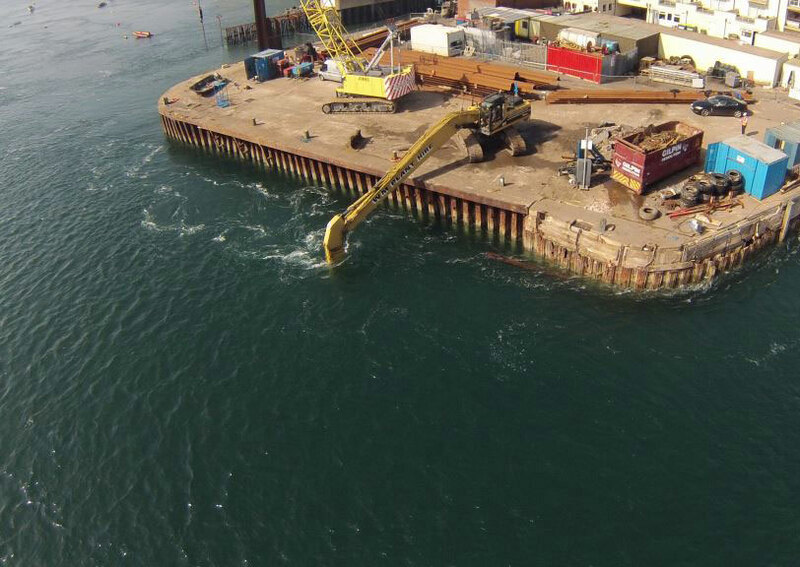 TMS Maritime are proud winners of the MCCE Awards Project of the Year for the second consecutive year for our Swanage Pier restoration project. 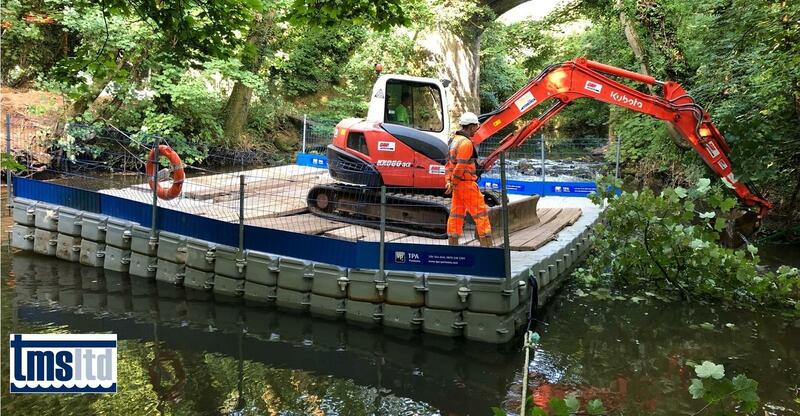 The expo was a fantastic opportunity to showcase our capabilities and network with customers and suppliers. Thanks to everyone that stopped by for a chat with Robert Martin and Giles Squirrell. 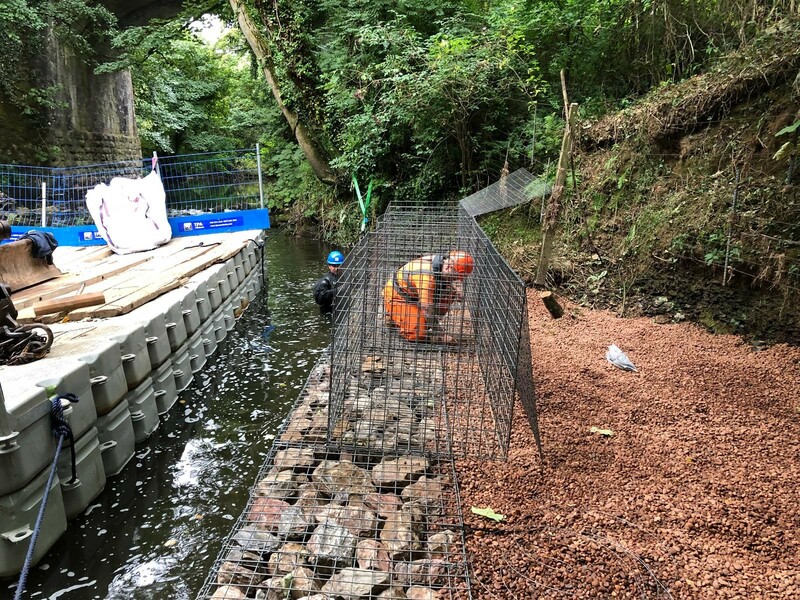 TMS are currently working at Newton St Cyres in Exeter to protect the river bank from anymore erosion while ensuring no damage or disruption to the nearby train track. 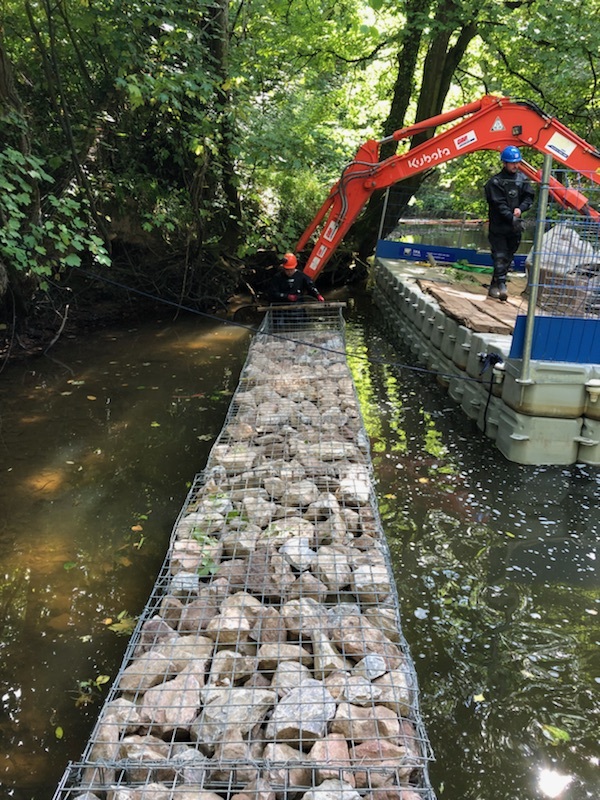 TMS have dug down to bed rock & are installing 15m of gabion baskets at 3m high which are filled with gabion stone & then backfilled with 20mm quartz, TMS are approved installers of Platipus Anchors, these will be driven in to the bank behind which will be using to hold the baskets in to position. 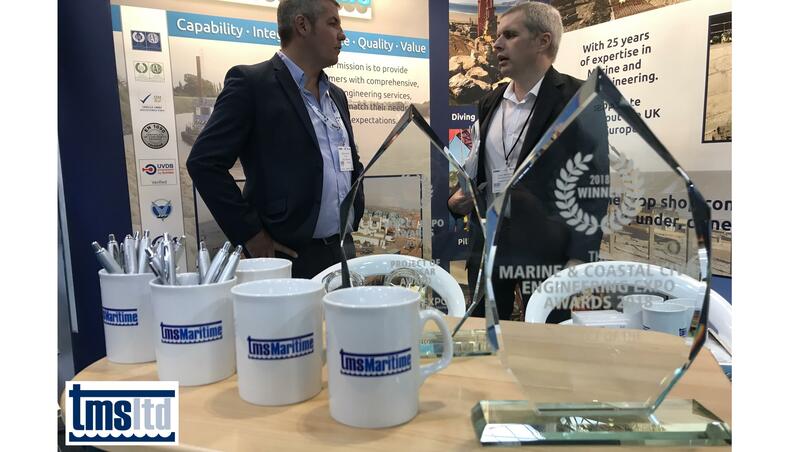 TMS are Exhibiting at the Marine & Coastal Civil Engineering Expo next week, We will be at stand 4E111 so come and have a chat with us.